In this article, we will learn how to create a POCO class library by the reverse engineering technique using EF Core Power Tools in Visual Studio 2017. EF, EF Core, Dapper, or any other .NET based ORM relies heavily on C# classes to interact with the database. ORM's O means Object; i.e., C# classes which are an object-oriented representation of database objects. Usually, the developers deal with an existing database of either medium or large complexity. When working with ORM's, the first task is to create C# objects. Handwritten C# objects are tedious work, leading to errors in form of names and property mismatches. To avoid this, we can use reverse engineering with the database objects and convert them into C# objects. For example, the Employee table with columns can be represented as C# class Employee.cs with properties. Reverse Engineering not only saves time but can maintain the true nature of the database objects. 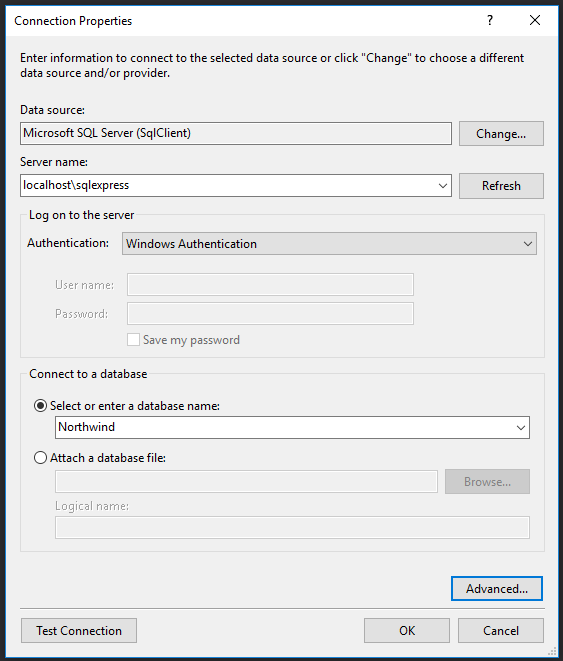 Let's get started by reverse engineering an existing database called as Northwind - a free database available online for SQL Server. 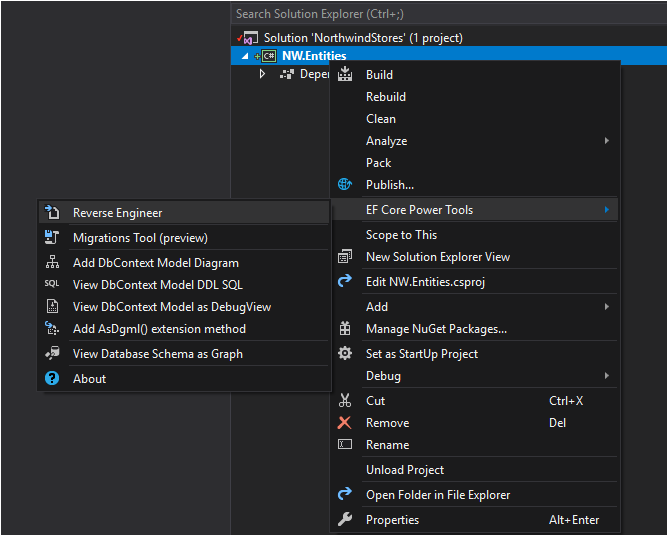 Use Visual Studio 2017 (any edition), open Tools --> Extension & Updates. Search for EF Core Power Tools under the online section, as shown here. You would need to restart Visual Studio for changes to take effect. This can be called as Plain Old C# Objects (POCO) or entities or models etc. also. Create an empty C# library (.NET Core), right-click on the project name. You will be presented with the following image. 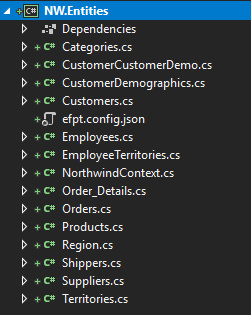 Select the "Reverse Engineer" option to generate the C# classes for the Northwind database. 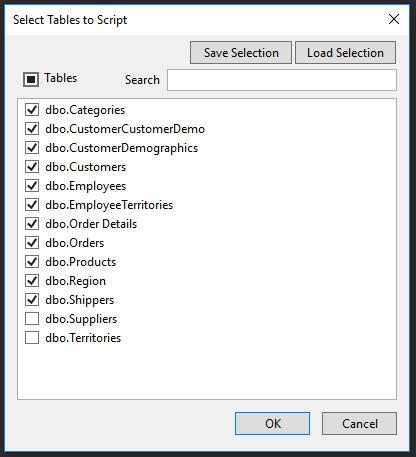 The Northwind database connection needs to be added so that it can reverse engineer the database objects. Here, it's present on my local machine but we can connect to any database location. 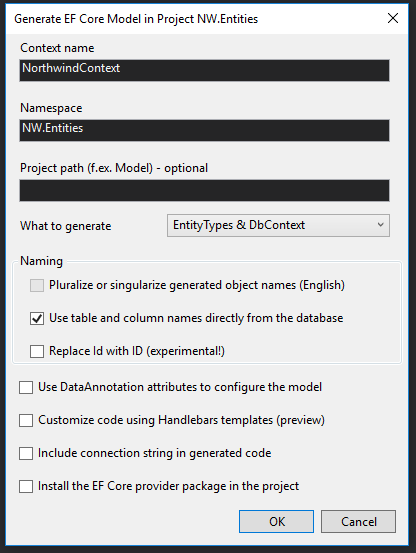 Once the connection is added, EF Core Power Tools give us the option to select database objects (either select all or few). Only selected object's C# classes are created. This Power Tool gives us control on naming database context, adding namespaces and path etc. We can either generate entity types (C# classes) or DbContext (EF Core heart), or both. I feel the POCO classes should be free from DbConext or connection string or any other packages. I just want them to be plain C# classes so that we can use them for separate validation, as View Models or as UI Models too. Once you click OK, the C# classes are generated, as shown below. These classes can be used to write the data access library, validations, with UI. Using the EF Core Power Tools, we can get started to write the data access code quickly. Of course, we might have a situation where we need to alter those POCOs according to one's needs. We will discuss this in my next article.